Why are you considering sales and marketing outsourcing? If you missed Part 1: How to choose a sales and marketing outsourcing partner, here it is again. 1) What credibility and experience does the outsourcing company have in your sector and both context and content? Do you need generalist or specialist skills to help grow your business through sales and marketing with lead generation? Recently we have come across more specialist engagements such as Chief Marketing Officer (CMO) with services as an independent consultant. Typically this engagement is to help shape a strategy or develop a new marketing offering or direction in planning. If you could engage a senior experienced sales and marketing team what would that mean for your business? You would be leveraging significant skillsets and experience, boosting your performance and outcomes with a lower cost base than headcount full time employee (FTE) hire, but how do you find the right partnership? We consistently hear that good sales and marketing resources are hard to find, so in a growing business where budget is limited, it may be wise to trial an arrangement for say six months. Traditionally any FTE hire will have a similar probation period without guarantee of success, plus you will have to pay a one-off recruitment fee unless it’s via a trusted referral source. What if you could reduce or eliminate the time and effort of an internal recruitment process to find the “ideal” candidate, to focus your energies on immediately working alongside experienced sales and marketing professionals with a great network to immediately engage as an outcome based and shared risk outsourcing team based approach. Are you gaining one consultant or access to a multi-functional experienced team for a similar cost? Let’s explore and imagine that for the same cost as having access to a team of industry experienced senior marketing managers and sales directors for a similar cost as a single FTE hire, what would that arrangement really be worth to your business? To create competitive advantage, partnerships with cross-functional skills can greatly enhance your positioning to win new business and also reduce internal costs. Does the organization you are choosing to work with have local experience and depth? In the world of professional services, time based charging can get very costly for a longer engagement. Hence a key factor in selecting a suitable sales and marketing outsourcing arrangement can be to see how flexible they are to customize to your commercial needs, including working towards measured milestone deliverables. Can they develop both sales and marketing strategies and connect the two in strategic planning to align with business goals? If you simply engage a traditional full service marketing agency on a retainer basis, are they sufficiently commercially oriented and have experience with sales engagement to align your marketing and sales together to deliver true business value? 2) What is the cost/benefit of outsourcing and ROI, other than lowest price selection? Over years of personal experience, outsourcing shouldn’t be treated as just a lower cost benefit or price exercise. If it streamlines and quickens your go-to-market and works to deliver outcomes via a shared risk model, that can be well worth the costs and access to more value. 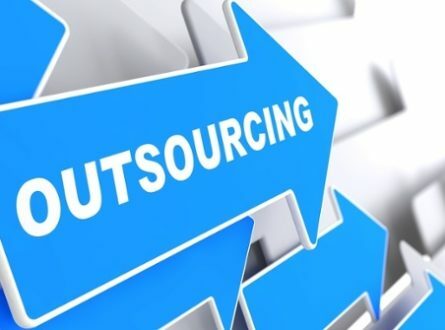 Other benefits of outsourcing include accessing a diversity of skills, experience and culture, as well as leveraging competitive advantage for your business. To that point, proven experience and track record as well the compatibility and fit remain important to consider, hence we suggest a short-term project trial of say three to six months are a good way to dip your toes into the outsourced sales and marketing experience. 3) What expertise is available across various industry sectors and field experience in sales and marketing? Access to cross functional skillsets and resources can create competitive advantage in responsiveness and delivery capability and developing the senior relationships required to engage with executive decision makers of target clients. A provider which has access to deep industry expertise or domain knowledge expertise can help open up more productive discussions with prospective clients in those areas of specialization. If these resources are dedicated to you, the effectiveness increases in prospect engagement. While it is still accepted practice to use a generic approach, a bespoke approach for very niche services or products requiring knowledge can shorten the sales and marketing engagement and provide more credibility. 4) Is there flexibility and a cultural compatibility of values in partnering belief? Does the company take the time to truly understand your broader business needs and strategy objectives or are they only proposing to solve part of your immediate challenges in sales and marketing activity without looking at the bigger picture? Your choice of partner needs to be a good fit strategically, commercially and from an ROI perspective. 5) How does the outsourcing company add value to your organization in both the short term and longer term? Consider 2 to 3 different organization but ensure you bring them into the office to talk face to face with the principal consultants to get feel of the cultural fit and compatibility to work together in a joint partnership, not just a traditional supplier/client engagement. 6) Do they challenge you positively and provide depth of guidance and business insight into your requirements and market knowledge? Again, think carefully about these questions, and importantly your responses to them, before making a decision. Continue to reflect and review on these topics continually during the working relationship. 7) Have you considered an outcome and shared risk-based model? Is your outsourcing requiring a true sense of a partnership or just a transactional relationship? If the outsourcing company is still quoting on time and materials or daily rates, and there isn’t an initial discussion on strategy, then perhaps it’s better to stick to a traditional contractor and resource hiring process for a small project. You will know a good sales and marketing outsourcing organization by their willingness to discuss outcome based deliverables and shared risk for sales and marketing projects. Take the time to explore how this works for them typically, and how it would work in your individual situation, however if there is avoidance to discuss the subject then perhaps you may be talking to an incompatible organization for you. Consideration of sales and marketing outsourcing will make sense to businesses that are open to dynamic business environment changes and willing to invest to grow the business. Where there are specific market opportunities and cash flow challenges to hiring full time employees, or internal politics prevents budgets for headcount for example, you may achieve cost efficiencies and greater sales and marketing productivity by exploring alternative sales as a service or marketing as a service arrangements. When the partnerships are appropriately established, outsourcing can reduce costs of approximately 25-35% over 6 months, along with increasing productivity and continuity, and speed to market as aligned to business revenue goals. If you would like to explore how sales and marketing outsourcing can help accelerate your business growth strategy and create competitive advantage or the process of selection then feel free to contact us for a obligation free discussion.